Scrip is a term that means "substitute money". When Providence families purchase scrip, they're purchasing negotiable gift cards that are used just like cash. The scrip is issued by the national and local retailers where many of our families already shop. These merchants want to support non-profit organizations, and in return ask us to support them by shopping with scrip at their stores. Providence families can use scrip for everyday expenses like food, clothing, and other essentials, and with every purchase, they earn revenue for Providence Christian School. The reason for the effectiveness of scrip is simple: families generate revenue through purchases they would make anyway. Groceries, clothing, toys, gifts, even gasoline can be purchased with scrip. An organization of 150 families easily spends between one and two million dollars per year on food, clothing and other essentials. If these families use scrip for these purchases, they can raise as much as $40,000 to $80,000 per year for their organization --without spending an additional penny. Therefore, we need our families to use the scrip program as much as possible. This is a simple way families can help us raise money for our school. 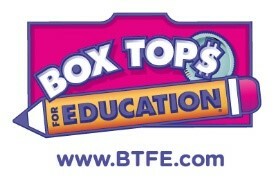 Participation in the Box Tops for Education program is another great way to support PCS. Simply clip the Box Top symbol from packaging on participating products. Turn those collected Box Tops in to the school, and they will be redeemed for cash! Each Box Top yields about ten cents for PCS, so the proceeds add up fast when everyone participates. Keep an eye out for "Box Top Contests" throughout the school year. These friendly competitions between the classes make looking for and collecting box tops fun for our students, and motivate us all to clip, clip, clip!